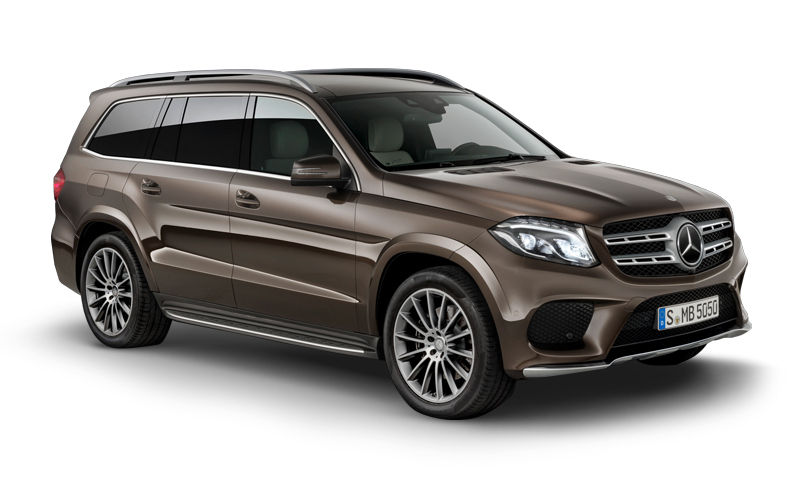 Mercedes Benz GLS is a S class SUV which has all the things that a full sized Luxury SUV must have. The GLS looks fab in the new design. It is now more powerful and equipped with more features. Space: It is genuinely spacious 7 seater car means having space for 7 adults who can seat comfortably. as we compare with other cars in same category. The last row can accommodate 2 persons. Middle row can accommodate 3 persons. The middle row seats can be tumbled as they don’t slide. Making the leg space more for the person to sit. Interior: The GLS is spacious car as mentioned above. Leather is used extensively which makes its look classy. There is thermotronic 3 zone luxury automatic climate control unit. Also has TFT screen with in built AUX , SD Card and USB connectivity. Engine: Mercedes Benz GLS 350 CDI has 6V cylinder diesel engine with displacement of 2987cc. It produces 261 PS power against the 620 NM torque. The engine unit is successfully connected with advanced 7G tronic automatic transmission gear box. Top Speed: The Mercedes benz GLS CDI has the top speed of 220 Kmph. It reaches speed of 100 Kmph in just 7.9 seconds. Safety: The car has ventilated disc brakes, Anti lock breaking system, Baby safe II child seats, airbags, seat belts and night view assist plus system. It also has anti theft protection package.